Speaking to a friend, the man was clearly astonished as we strolled down the middle of a nine-lane highway. Around me I saw many smiling faces, belonging to both young and old, and families with small children. All had yellow ribbons pinned to their chests. To my right a lone skateboarder tested the concrete, while two joggers ran to my left, taking full advantage of the empty avenue. Below a pedestrian overpass, an expat showed off his Chinese calligraphy, writing slogans and pasting them to a pillar in front of a cheering local crowd. 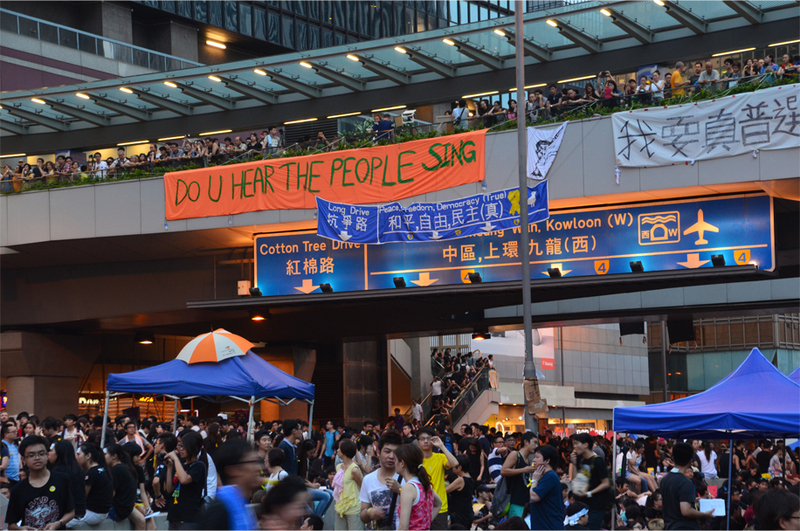 This movement, the ‘Umbrella Revolution’, has brought together people of different races and creeds in a way that other issues have not. Hong Kong’s ethnic minorities and expatriates have made multiple appearances on the scene, marching in with banners to rapturous applause. For two consecutive nights, several British traders bought $20,000 (US$2,600) worth of supplies to grill hot dogs for hungry protestors. Signs in different languages adorn the protest venues: some are written in Indonesian, Spanish, French, German, even Italian, while passersby have left messages of support in Polish, Russian and Hindi. Down in Admiralty, where the police unleashed tear gas on Sunday night, the mood is even festive. Yesterday was China’s National Day, and many Hong Kongers had turned out to give the PRC a unique birthday present. 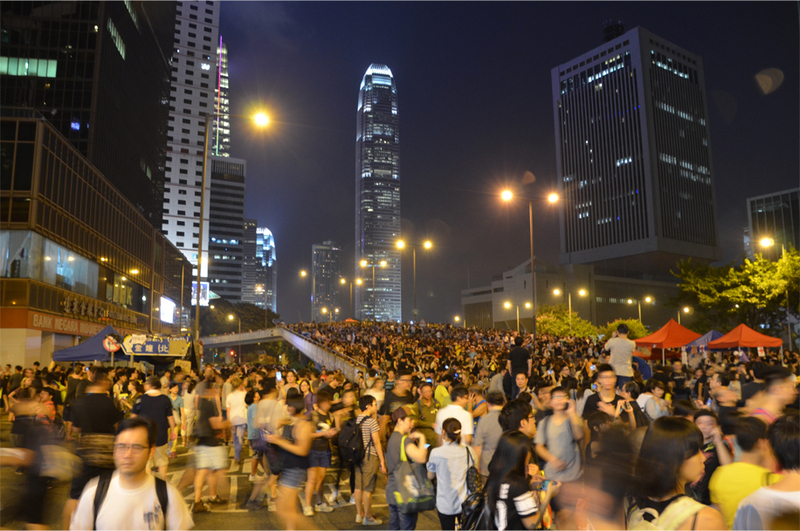 With the main roads on both sides of the harbour still occupied by pro-democracy demonstrators, the annual fireworks were wisely called off. Instead of a brazen red, yellow was the colour of choice among the people. In the morning, district councillor Pamela Peck donned a full yellow outfit to the National Day reception. At the same event, fellow district councillor Paul Zimmerman had the audacity to unfurl a bright yellow umbrella as he stood in the audience, a yellow ribbon pinned to his suit. I saw him in person on a bridge at the main protest site, being interviewed on-camera by the BBC. He was still holding his yellow umbrella. The way Beijing has responded to the movement illustrates its myopic vision. It quickly criticised the tens of thousands who committed “violence against the police”, although it was clear from video footage that it was quite the opposite. The students and leaders of this movement have been labelled as “dangerous radicals” and instruments of “foreign meddling” – testament to the blind nationalism employed by Xi Jinping’s government to divert attention away from more pressing domestic problems. 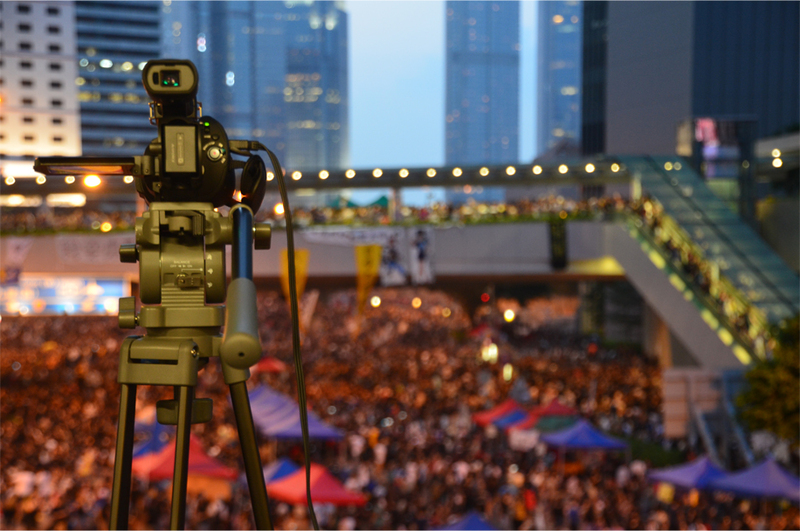 In mainland China, TV screens of foreign news outlets were blacked out during coverage of the protests. Instagram and Vine were blocked overnight, as was the website of Hong Kong’s leading English newspaper the South China Morning Post. 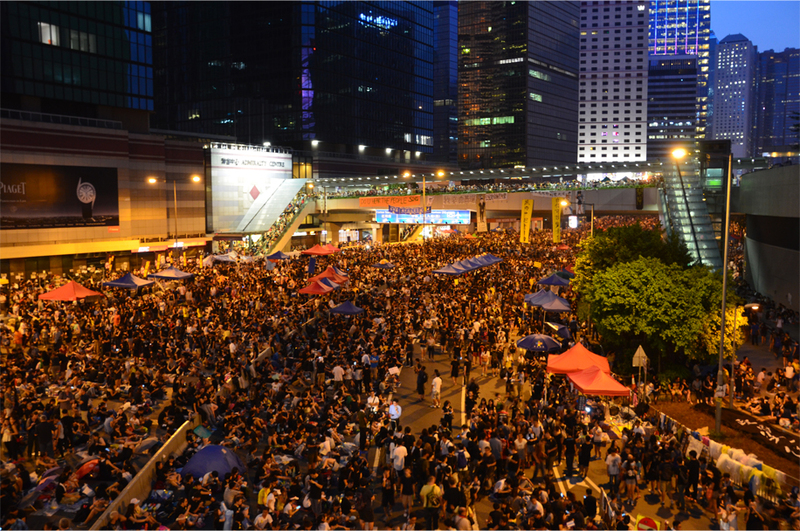 Across various platforms of social media, even the terms “Hong Kong” have been censored. Pro-Beijing media outlets (of which there are an unfortunate number) and politicians are now preaching stability “for the sake of economic growth”. But that is not the kind that has brought improvements to society as a whole. Here in Hong Kong, the widening gap between rich and poor is absolutely shocking. Elderly residents are forced to eke out a living by collecting cardboard and moving them to neighbourhood recycling centres. Some 300,000 children are under-nourished as their families cannot afford to give them three meals a day. This March, Hong Kong topped a “crony capitalism index” created by The Economist, outstripping second-place Russia by over 200%. Those in the current Hong Kong government – and its puppet-masters in Beijing – are keen to protect the interests of the city’s mega-rich tycoons; it is telling that business leaders were summoned to Beijing while the protests escalated last weekend. Instead of concentrating all political and economic power in the hands of a few, what we are hoping for is a society that is more just and representative of its people. First the world was stunned to see how big the protest has become, nobody predicted that HKers would stage a demonstration in such scale. Then the world was amazed by how polite and civilized the protesters have been behaving. Hopefully democracy will prevail in HK as we, here in Indonesia, can use some boost to push our legislators to respect the democratic rights of the people. I hope so too, Bama, though that is not terribly realistic seeing as we live under Beijing’s thumb. We have been promised democracy for a long time now, and the government seems to think we aren’t ready to elect our own leaders! 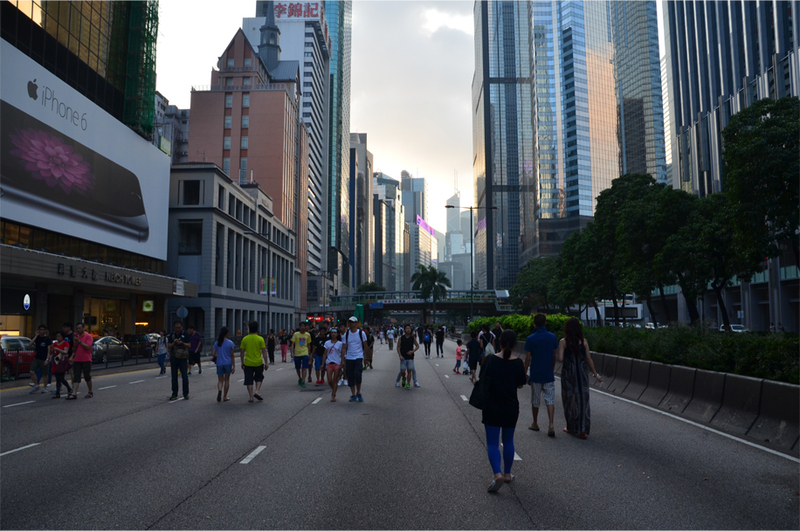 For me to see a road to 9 lanes invaded by people walking peacefully is beautiful!!!! I have customers who will leave for Japan in 2 weeks, and is scheduled for a stop over 4Nights in Hong Kong. You have advice for me? The event will still be in place? I can’t say for certain, but the crisis ought to be over in two weeks’ time. There is a portion of Hong Kong society that will not put up with the disruptions for much longer, and they may be the ones who instigate a crackdown. Thanks James! I will know to my customers. Thanks so much for writing about this! It’s great to hear your perspective. I’ve been reading the news but of course, it’s better to hear from people actually there. I did not know that HK topped the crony capitalism index! Please keep us updated. You’re welcome, Leah! I can only hope for a peaceful resolution – although neither the Hong Kong government nor Beijing seem willing to make any meaningful compromises. There was a press conference less than an hour ago from Government House – the second-in-command has promised to meet students for negotiations “in the near future”; let’s hope they stick to their word! This is so inspiring. Wish I could be there to witness this in person! 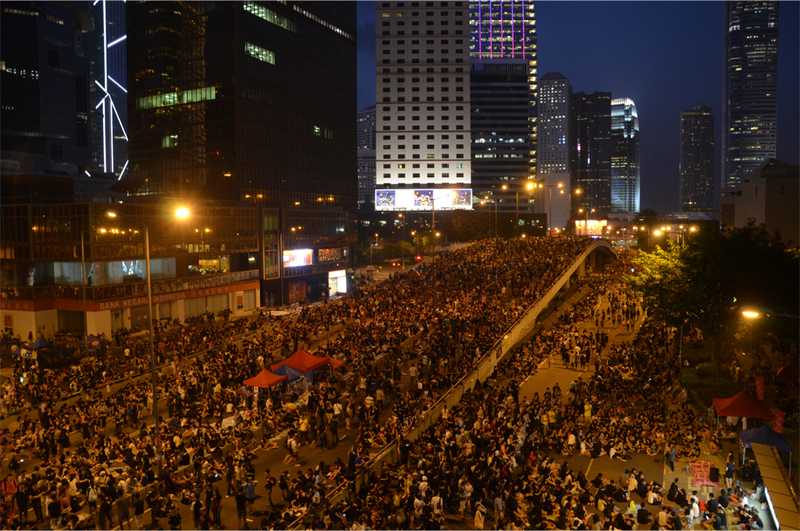 History is being made here – I have never seen anything like it in Hong Kong! Apart from demanding universal suffrage, during civic lectures in the “Umbrella Revolution”, the protesters are also prompting their disappointment to the alarming economic polarization, skyrocketing housing rents and monopolization of rich business groups. As class boycotts before this assembly is organized by students first, I can say the implementation of Liberal Studies has indirectly raised students’ political awareness and triggered this mass demonstration. Absolutely. There are so many problems that need to be addressed and the current government has done very little to solve them. I am very impressed with the knowledge and awareness of the students; if they are the future leaders of Hong Kong then we certainly have hope. This is fabulous and is worthy of being freshly pressed! I have been following the developments closely and am so curious to see what knowledge mainland Chinese have of the protests. Even if all social media is blocked email is not and someone could get the news via email. I am a huge supporter if democracy and it is crazy that China can still get away with their authoritarian regime. I was thinking of you when I wrote this, Nicole! Very little is filtering into mainland China and the authorities have been working hard to censor just about anything related to these protests. But internet users there are good at getting around the system – my guess is that many are now using VPNs and code words. There is nothing more powerful than free-flowing information, and Beijing fears that this will ignite something much bigger on the mainland. Yes, it is just crazy. I sincerely hope the people will get the freedom they deserve. It is a tough situation especially since the economy is relatively good. It makes people more prone to not protest I think (on the mainland). That was what I found when I was there. Many mainland Chinese were happy that their lives had improved so much more than their parents. I wonder what will happen in Hong Kong. I hope they don’t back down. James, thanks for bringing the protest home to me – I was unaware it’d grown to that extent. Love your crowd shots. Maria, there was a surge of public support after last Sunday. Even people who opposed the protests condemned police for unleashing tear gas and pepper spray on the students. The crowds peaked on Tuesday night and Wednesday, but since then things have gotten ugly. Anti-protest mobs have reacted by violently assaulting the demonstrators, and police have been struggling to control the chaos. This is not the Hong Kong that I grew up knowing. Well written piece. From my experience I believe that students in Hong Kong are some of the most informed of any in the world in regard to their rights and political beliefs. 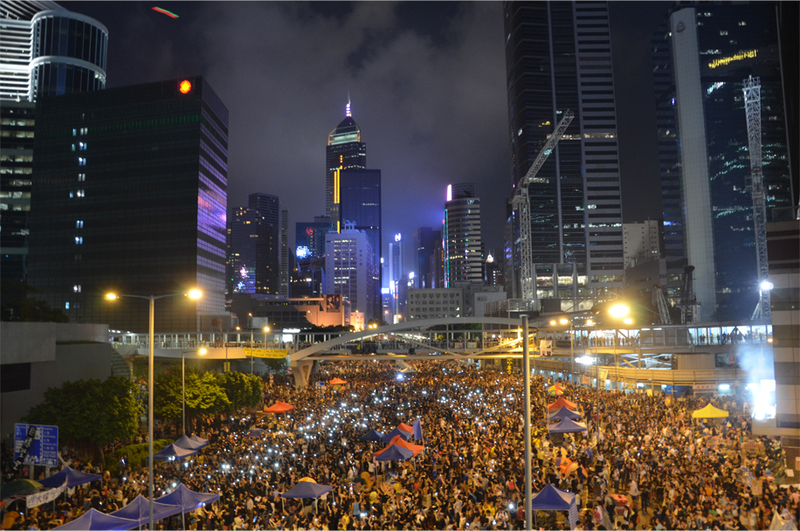 This is probably because in Hong Kong, compared to many western democracies, they do not have the luxury of complacency – not when it is in the unique position of being under the control of a country whose citizens have less rights than their own. I am not optimistic in regards to the outcome of this political deadlock, but I am proud of how the protests have been conducted and wish Hong Kong people the best of luck. Thank you for those thoughtful words. There has to be a way out of this deadlock – I don’t know why cooler minds in both camps can’t build a bridge and defuse the situation. Sadly, violence and public anger in the past two days show that this movement is not supported by a large section of the Hong Kong population. I would say the city is split 50/50 on the protests. I hope this ends well, but I fear it won’t. The scuffles at Mong Kok today, with the government’s and police’s (non) response, indicate the things to come. People need to brace themselves for the inevitable crackdown. I feel the same way, and am very saddened at the recent turn of events. Where are the moderates on both sides? At this critical stage there has to be dialogue. 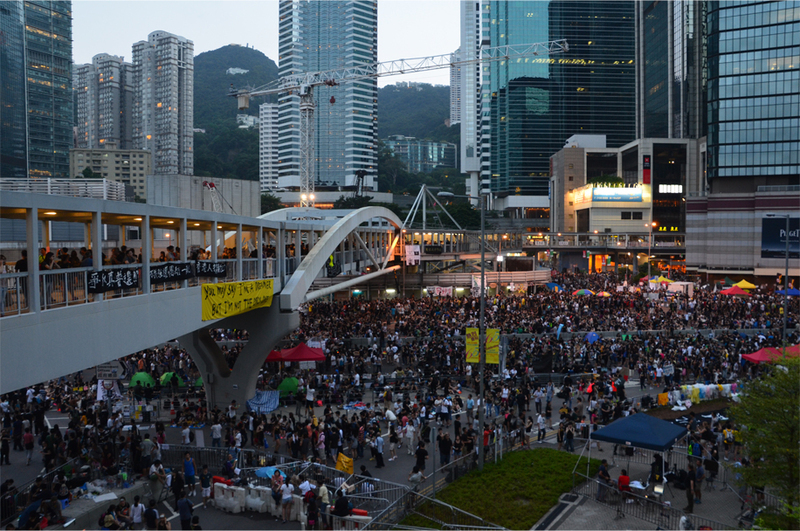 I don’t know why the protestors are still holding onto their venues in Mong Kok and Causeway Bay – both are residential areas and people there can only put up with the disruptions for so long. What happened yesterday (and today) was a very clear expression of that frustration. By not withdrawing to Admiralty, the demonstrators are already antagonising older, more violent factions and are losing valuable public support. 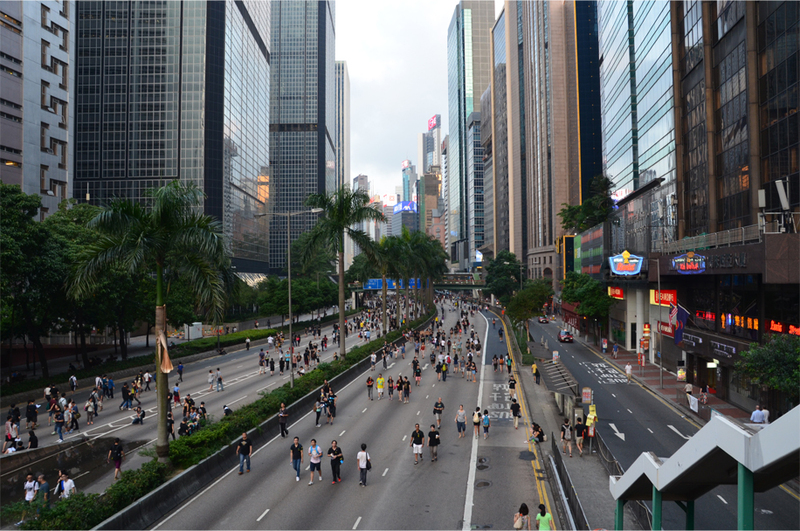 Occupy should make the concession of reopening many of those roads – on Hong Kong Island, that should include the entirety of the tram line through Queensway and Hennessy Road. Well written, James. It’s so good to have a personal point of view, rather than just reading the twitter feeds (of which we’ve traded a few tweets) and news reports. Sadly, though, there hadn’t been too much coverage in Australian and American news networks. British outfits, like the BBC, did have more coverage, though. Even though I’ve only spent a total of about a week in HK, it’s a city I’ve come to love very much. Money permitting, I’d hope on a plane in a heartbeat. I just hope this is all settled peacefully. I hope so too, Stephen. The students have been holding talks with the government so that is a major step forward – although I still think they should make concessions and reopen some of those occupied roads. It’s clear that the protests are having an adverse effect on people’s daily lives and smaller businesses are being impacted hard. 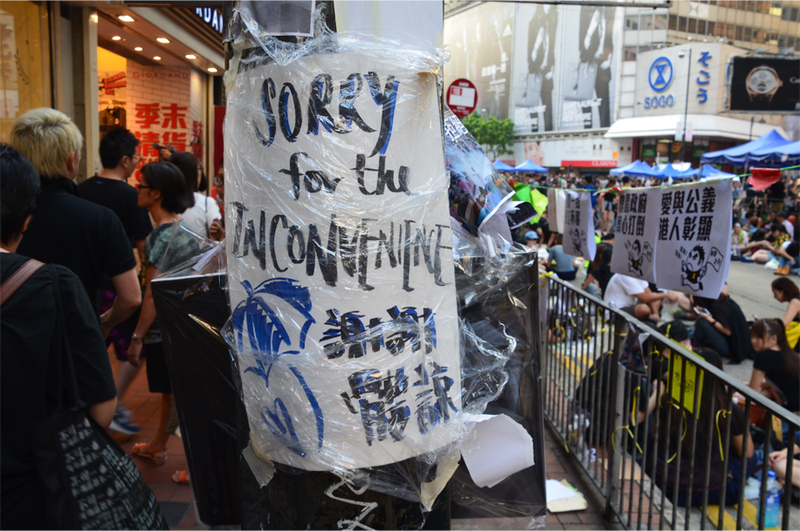 There are many in HK who are losing patience with these ongoing disruptions. Great coverage James. the banners are wonderful and strangely moving. “You may say I’m a dreamer, but I’m not the only one” is my favourite. The hardest part I suppose, is when the euphoria of the initial protest wears off and the solidarity gets stretched. I hope with all my heart that Beijing sees reason and takes a step forward. And soon. Good luck. That banner was also one of my favourites, Madhu – I have to thank my mother for educating me about the Beatles! The euphoria of the past week has definitely died down; fewer people have been turning up to the sit-ins these days. If things go well, the student leaders are going to hold talks with the government on Friday. Let’s hope some sort of breakthrough will be achieved. 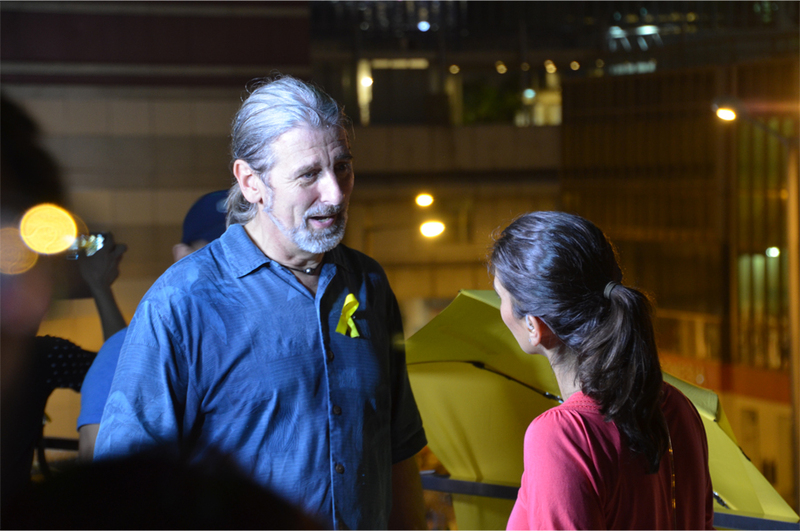 Hi James, I’m proud of the Hong Kongers for fighting for their right and freedom and to do it a peaceful and civilized way. I’m sad to hear that the gap between rich and poor has widened tremendously. I’m also shocked about the degree of cronyism that now exists. I wish the people of Hong Kong all the very best. May you all achieve your aspirations of continued freedom and better governance. Thank you for visiting my blog and for leaving a very insightful and thoughtful comment. Hi Marisol, thanks in turn for writing this. I should hope the protests are a big wake-up call for our ineffectual government – it is ridiculous how they have turned a blind eye to so many pressing social issues. And the fact that the top leader even had the nerve to suggest how the poor should not have a voice! Truly unbelievable. 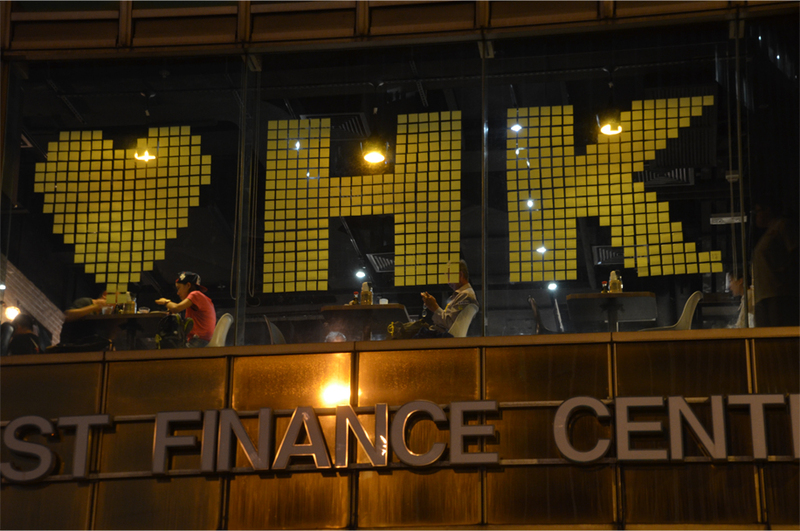 Read about Hong Kong’s ‘Umbrella Revolution’!